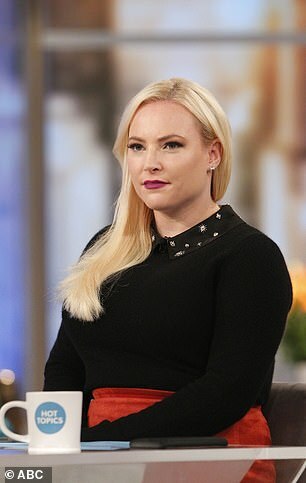 Meghan, the daughter of late Senator John McCain, has publicly scolded former Fox News host Bill O’Reilly for his unsavory comments at Justice Ruth Bader Ginsburg’s health. 85-year-old Ginsburg underwent surgery on Friday to remove two nodules from the lower half her left lung, which were discovered in follow up examinations after cracking her ribs in a fall in November. The Supreme Court Justice was said to be ‘resting comfortably’ at the Memorial Sloan Kettering Cancer Center in New York, a spokesperson for the Supreme Court said. 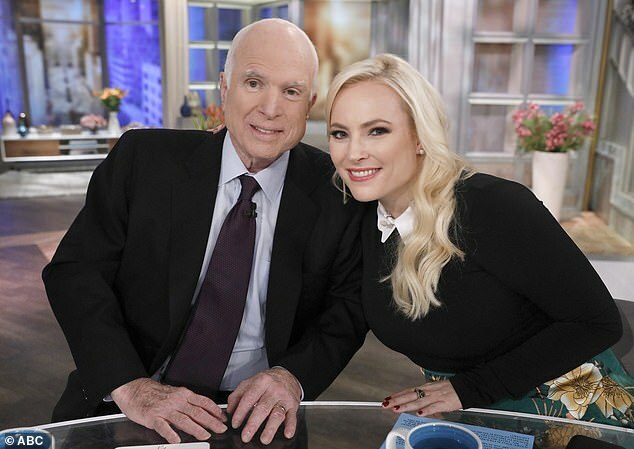 Incensed by the hard-hearted nature of O-Reilly’s comments -coming just months after the death of her father – McCain took to twitter to hit back at the journalist. 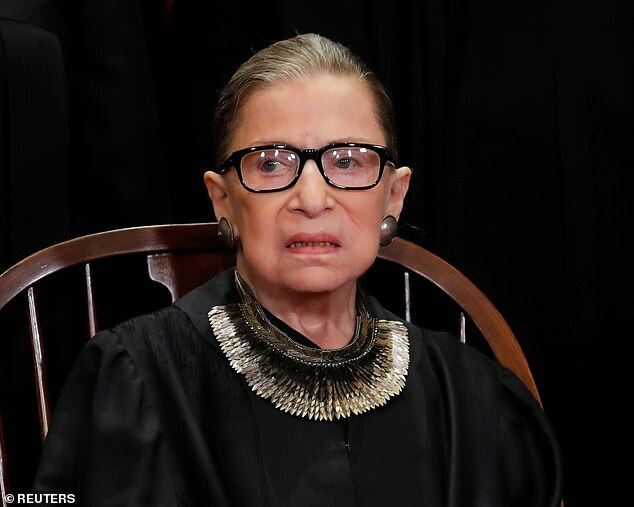 Branding him ‘gross and ghoulish’, she urged O’Reilly to join her in prayer for Ginsburg’s recovery, rather than trying to politicize the possible implications of her compromised health. ‘There’s really nothing more gross and ghoulish than people in the media pontificating on a public persons health and the hypothetical political ramifications of their death. 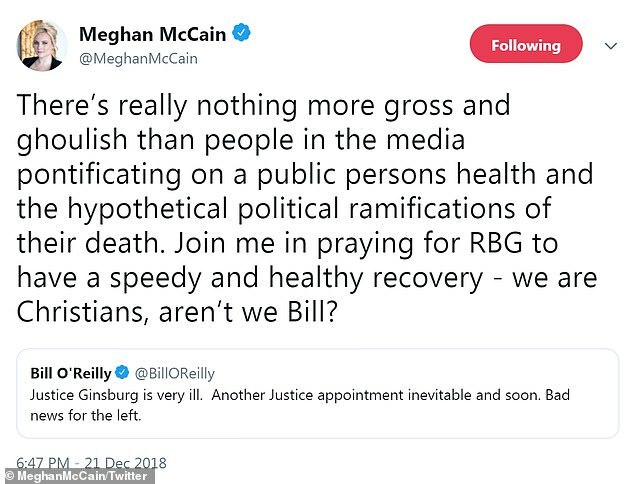 Join me in praying for RBG to have a speedy and healthy recovery – we are Christians, aren’t we Bill?’ She responded. McCain’s father, former Arizona Senator John McCain, died in August following a year-long battle with brain cancer. 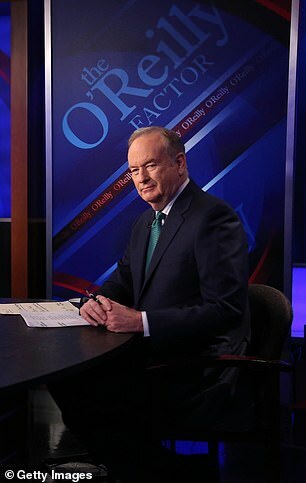 O’Reilly, 69, was fired from his show the “The O’Reilly Factor” after a report in The New York Times revealed Fox had paid millions in compensation to five women who had accused him of sexual harassment. McCain, former co-host of Fox News’s “Outnumbered,” left the network to co-host ABC’s “The View” last-year.